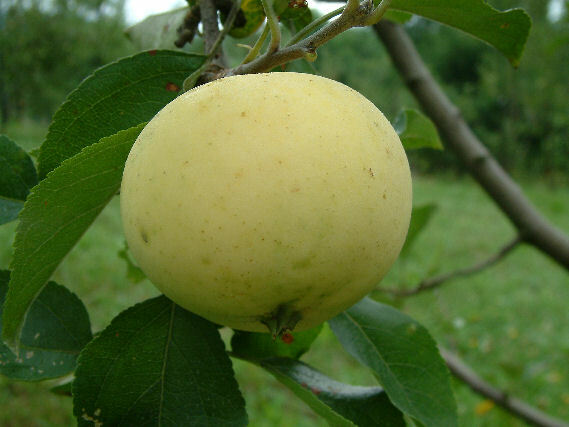 An apple of unknown southern origin, resembling Early Harvest and frequently mistaken for this variety, but with an earlier ripening time than Early Harvest. Fruit medium-sized, roundish, with thin pale yellow or greenish-yellow skin. Skin is covered with numerous green and brown dots or lenticels. The tender yellowish-white flesh is juicy with a brisk subacid flavor. Ripens late June to July or later, depending on location.